Hear new, shiny PEL music on Bandcamp, Spotify, Apple music, Amazon, or get the CD at our store. Hear the new Mark Lint song featuring your favorite PEL guest on lead vocals. …And other witty and pleasurable tunes! 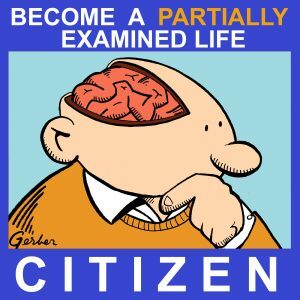 Support the effort and earn a full hour chatting directly about philosophy with your practically human PEL host! Support the Arts: First Mixes Done for the New Mark Lint Album! Please wander over to patreon.com/marklint to help support the new album! A new song from Mark, featuring The Posies’ Ken Stringfellow, and how it was inspired by the Nakedly Examined Music interview with Ken about Alex Chilton and the whole Big Star phenomenon. As an accompaniment to the Nakedly Examined Music podcast, I’m launching a project to collect song explanations from our musician listeners: Song Self-Exams. This video explains how to do one of these and explains one of my songs relevant to the project of the new podcast. The point is to really listen, to open yourself to a work, not to treat it like a commodity. 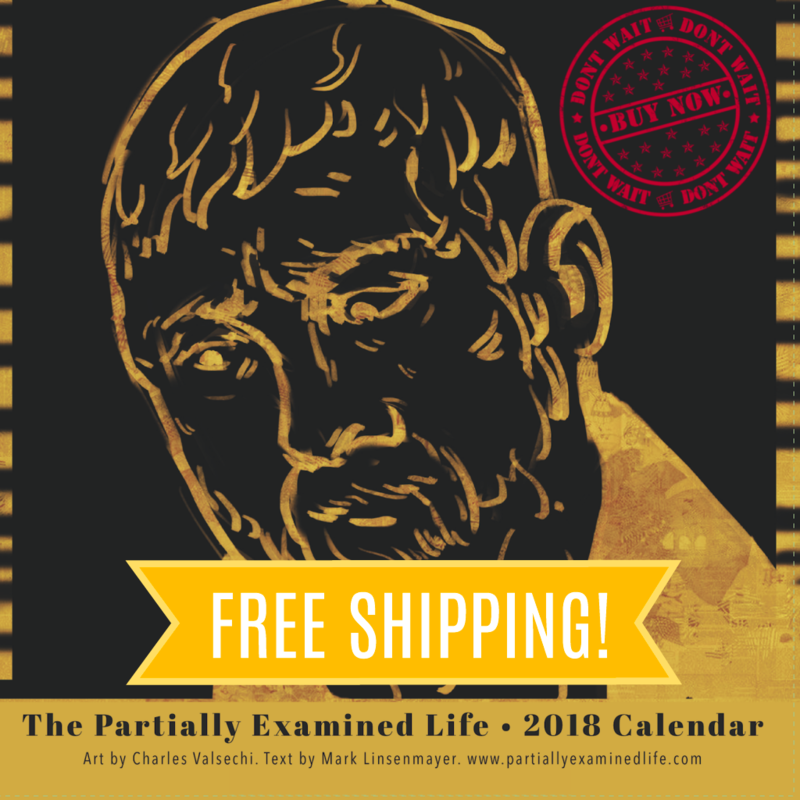 Mark is joined by numerous previous guests to catch up and engage the musical part of PEL’s past episodes by introducing and playing the entirety of Mark Lint’s “Songs from the Partially Examined Life,” which you can own, along with the 2016 PEL wall calendar. I got a chance to sit down and chat with my old bandmate Dave Hamilton to talk about my musical “career.” Listen to the episode. Also some news about my new album and a request for you to help me come up with artists that my stuff sounds like. A peppy, pretty Mark Lint song about how you shouldn’t kill yourself even if you’re basically a waste of space. 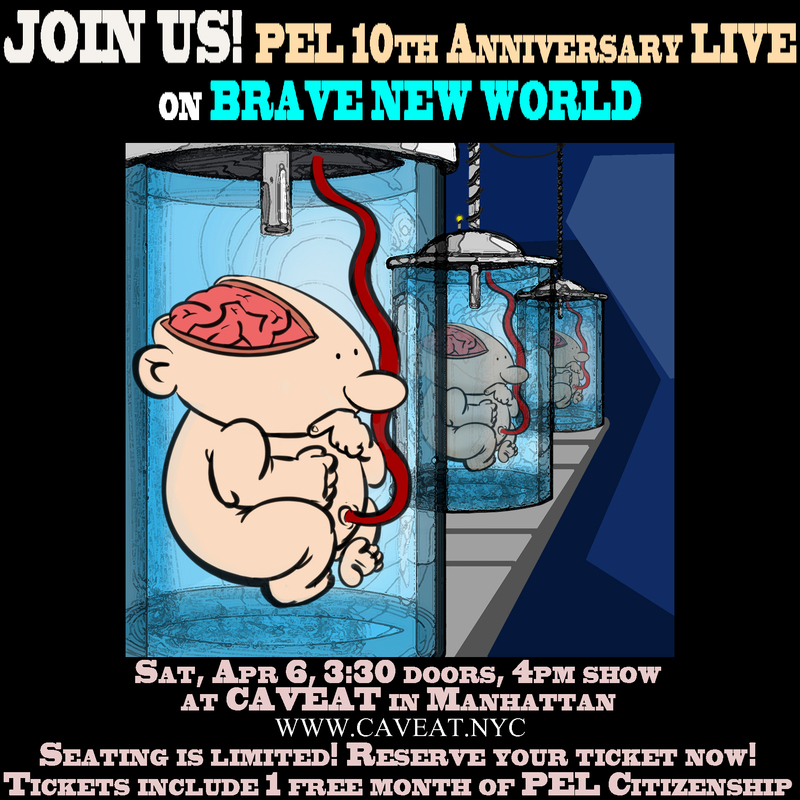 About its cursed origins, and a quick very premature semi-announcement about a possible new PEL spinoff podcast about songwriting. A couple of new recordings: one dark, one-man band number written and recorded in just the last couple of days, and one peppy pop fiesta that came together over the last year. Also, some news on eventual album releases. A new theme song for our favorite proto-feminist martyr. Isn’t it hard enough just being your daddy’s brother? Please just work the system from within! A tune for the Freud episode to listen to late at night, in a recording where past and present meet. Plus, a recap of Mark’s music-completion efforts. A newish song about blocking out religion. Very soothing! A fake country song for our Gadamer episode with a lot of swearing in it. Enjoy! The definitive version of an acoustic tune written in 1987, completed for our Whitehead episode. With oboe and ukulele! A song about grief… but need it aim to be merely beautiful, or sublime (in Burke’s sense) as well? One-man-band recording types needed to help record the longest Xmas song ever as a musical affront to all those persons and institutions that richly deserve it. Artists also needed to help with images for the video: contact Mark now if you want to get in on it! The song from the end of #106, about a comfortable, stable state of indecision, featuring plentiful keyboards by Swedish listener Daniel Gustafsson. Two old tunes revisited, one about fantasizing about a natural paradise, the other about waking up and realizing your life isn’t so bad. The song for ep. #101, inspired by Maimonides’s talk of negative theology, where the only claims about God you can make are about what he’s not.